Considerable attention is being paid to the food-energy-water nexus under global warming, climate adaptation and mitigation. But when it comes to food security, as well as nutrition security, we forget that the two are independent and yet intricately intertwined. The Food and Agriculture Organization has a formal definition for both food and nutrition securities.Food security refers to having physical, social and economic access to sufficient, safe and nutritious food, which meets the dietary needs and food preferences for an active and healthy life. Nutrition security means access to adequate utilisation and absorption of nutrients in food to be able to live a healthy and active life. Availability, access and utilisation are important for both food and nutrient securities. The food-energy-water nexus typically tends to focus on resource management under climate and population pressure as well as conflicts and governance issues. Food and nutrition security are better discussed at household levels. There are systematic correlations between household income, education level, local governance and food security. While food insecurity does not preclude specific choices to improve nutrition levels, overall food insecurity tends to degrade nutrition security. 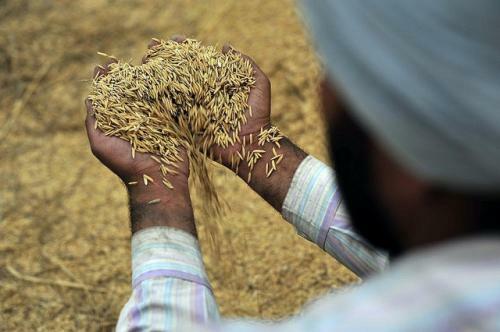 India offers a stark example of accomplishing an adequate overall food security without nutrition security. The country has sufficient arable land and is able to get through multi-year droughts. And yet undernourishment in terms of stunted and wasted growth is shamefully high in India. It ranks worse than some of its neighbours and even African countries with more than 50 per cent children under five graded as stunted or wasted according to the 2016 report by the International Food Policy Research Institute. Major contributors to the accompanying reductions in standardised height-for-age in India are household assets with additional factors being parental education, open defecation, fertility and healthcare. India is a signatory to the World Health Assembly, but lags in the implementation of plans for nutrition targets. The growing middle class is taking to a high-calorie, low-nutrition diet similar to developed countries, thus leading to an alarming increase in obesity and diabetes. The complex relations between food and nutrition security are best illustrated in a recent study done by my colleagues at the University of Maryland. They find a strong negative correlation between per capita agricultural land and undernourishment. The land used for producing agricultural commodities is considered, along with nourishment, in local populations, food exports and land grab or displacement. Countries like Ethiopia and Malawi became poster children for agricultural land grab by rich countries for their own food security justifying it as beneficial for innovation, increasing crop yields and creating local jobs. But the negatives in terms of environmental degradation and undernourishment of local populations seem to be more than compensating for any positives. The authors do offer the caveat that these are just statistical links, but it should be noted that land grab or displacement due to other reasons impact nutrition security of small landholders negatively. Indian companies are part of the global race to acquire fertile agricultural lands in Africa. Internal displacements in India due to the loss of agricultural lands to development are not negligible. The land protection act is put in place to protect small landholders, but the implementation and efficacy of such regulations is not yet clear. India also suffers from large-scale seasonal displacements of migrant labourers. It is known to exacerbate the disruption of family units, alcoholism and sexually transmitted diseases. Land displacement also degrades parental education, household assets, food and nutrition security, children’s nutrition and health. The inter-state disparities in per capita agricultural land and migration in India are very much a dynamic of food and nutrient security of its population. Food and nutrition securities are also affected in subtle ways by global warming. Climate impacts on the food-energy-water nexus via extreme weather events and crop damage are widely studied. But the more subtle effects through the warming impacts on crop micronutrient uptakes require careful studies. Deficiencies in micronutrients such as zinc and iron are well documented and may get worse even for those who are food secure. Food exports also impact food-energy-water nexus as well as food and nutrition security. This is yet another issue for India which highlights the need for social science tools and socioe-economic data. The country has made great investments in science and technology education in terms of setting ups IISERs and IITs, but social science has been meted out the stepchild status. We would be wise to remember that the so-called hard sciences like climate science will be delivering uncertain information about the future. Hard decisions about the future will be made by so-called soft sciences like social sciences. Food and nutrition security straddle the hard and soft sciences down to the household level.